Suprema is a leading global provider of biometrics and security. By combining world-renowned biometric algorithms with superior engineering, Suprema has introduced a number of technology initiatives and innovations to the security industry over the last couple of decades. Suprema’s extensive range of portfolio includes biometric access control systems, time & attendance solutions, fingerprint live scanners, mobile authentication solutions, and embedded fingerprint modules. 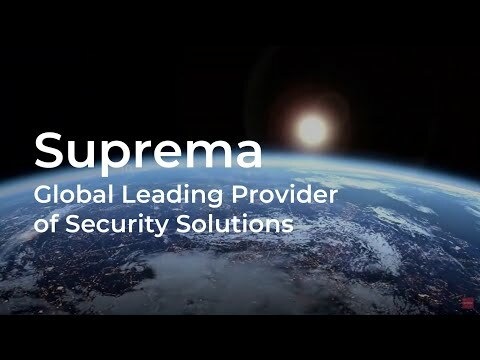 Suprema has established itself as a premium global brand in the physical security industry and has a worldwide sales network in over 130 countries. Suprema has no.1 market share in biometric access control in EMEA region and named to the world's top 50 security manufacturer.